Many of you have been asking for a promotional sheet which you can post at your local art supply shop, funky little stores & coffee houses in your neighborhoods. First of all….. Thank you very much for offering your support in our first of many B.C. 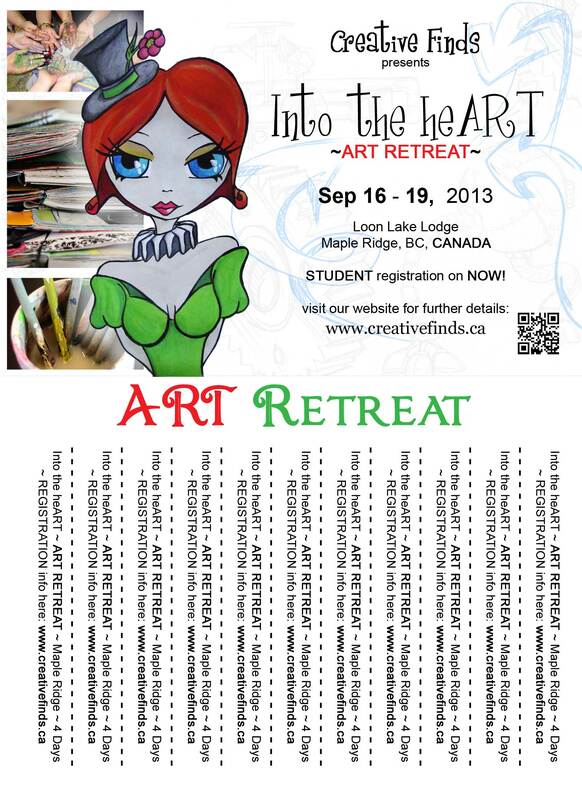 Art Retreats!!! WIN a $200 discount from Creative Finds Events! As part of our marketing plan/budget for this years Art Retreat, we wanted to ‘pay it forward’ so to speak, by offering you a chance at keeping a little cash in your own pocket. 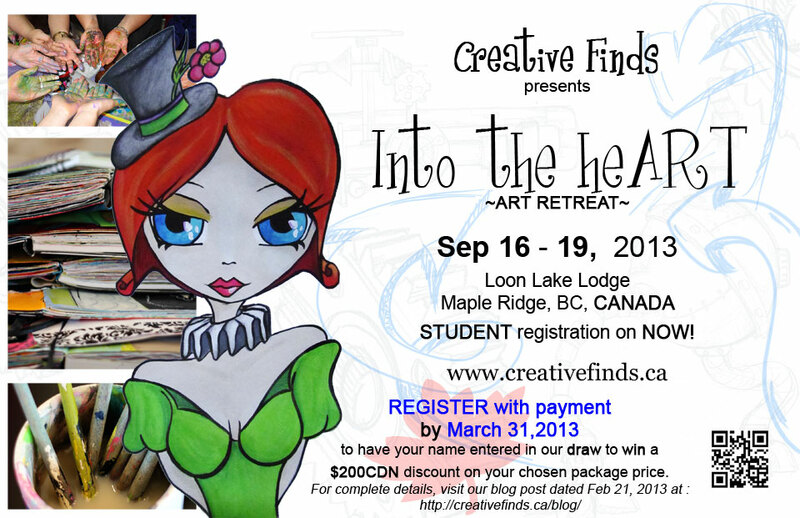 REGISTER with payment for our Fall 2013 ‘Into the heART’ Art Retreat by March 31,2013 to have your name automatically entered in our draw to WIN a $200.00CDN discount on your chosen package price. For every registration that comes in stating that you (noted by your first & last name) recommended our retreat to that student, you then get your name entered in the draw again. Sound Good? The more registrations you bring in the more chances you get! The winner will be selected by a random number generator on Saturday April 6th, 2013. Art Retreat INSTRUCTOR sneak peak #6 ! I very happy to announce that one of our lovely Teachers at the upcoming ‘Into the heART’ Art Retreat is none other than ………..